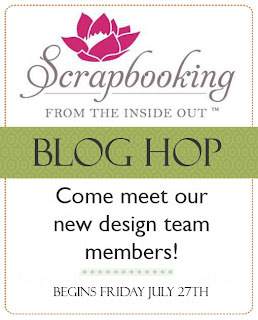 Welcome to the SFTIO Design Team blog hop! We're celebrating a few things here. 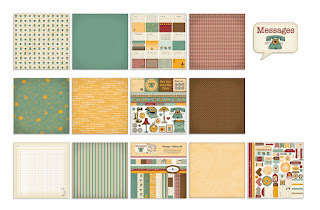 First, I have a layout to share with you using our July kit COMMUNICATION. 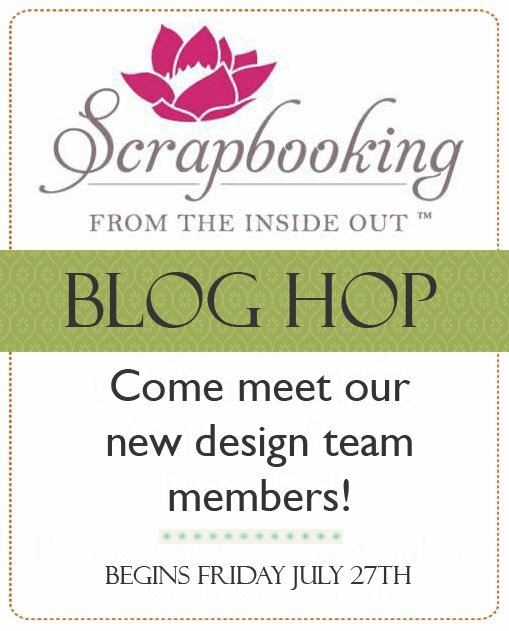 Second, we've got some wonderful new additions to our design team and we want you to get to know them even better. Finally, we've got a little peek of the August kit for you. Woohoo! My youngest didn't put sentences together for the longest time. I was getting worried that he might never talk more than one or two words. Don't get me wrong, he was able to get his needs across just fine but his older brother started talking at 9 months! 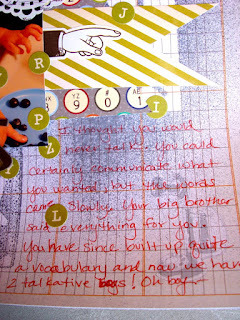 I used a letter stencil to spray through (as well as use the positive of it) and create more interest in the background. Don't you love that ledger paper? Using the Distress marker I traced the letters too! 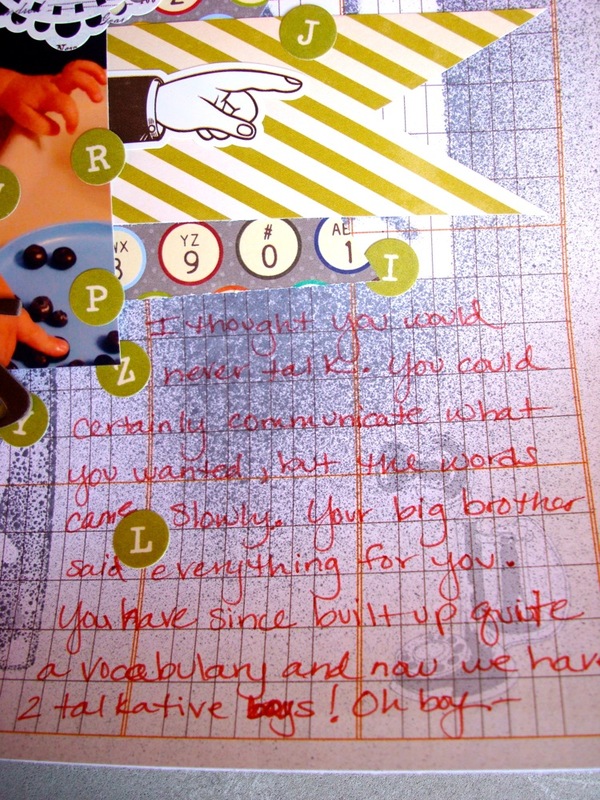 I loved the letters from this kit so I used them as a design element. The circle letters were perfect for this! That pointer sticker was perfect with this picture because he was pointing to the blueberries on his tray to show us how much he loved them. My journaling to remind me how worried we were about Christopher's speech but really didn't need to be because his brother said everything for him! Now he's talking up a storm! Look what you can win!!! 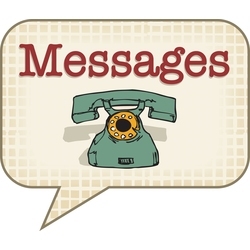 Nikki Sivils "Messages" line! 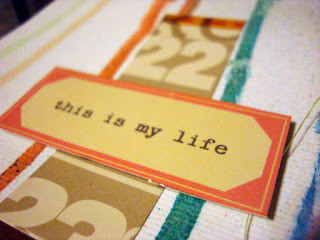 Such an awesome collection of colors, images and text! This is a must have collection! Just leave a comment below and answer this question: What form of communication do you prefer? Want to see a sneak peek of the August Escape kit? 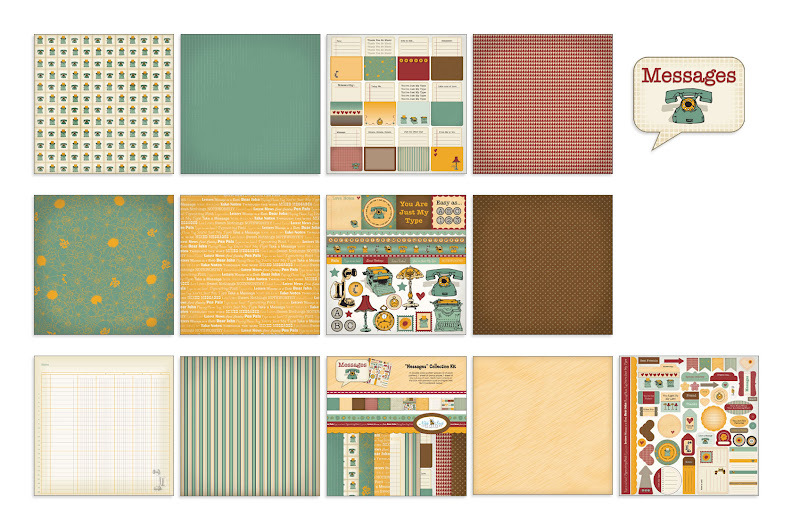 Here are a couple from layouts that I've done for August! This is my favorite kit to date!!! Seriously AWESOME! Okay... you have until 5:00 p.m. PACIFIC TIME on Sunday, July 29th to post comments here and then we'll announce the winner on the SFTIO blog and Facebook sometime the following week. Don't forget to check out our Community Forum, Facebook and Inspiration Page. 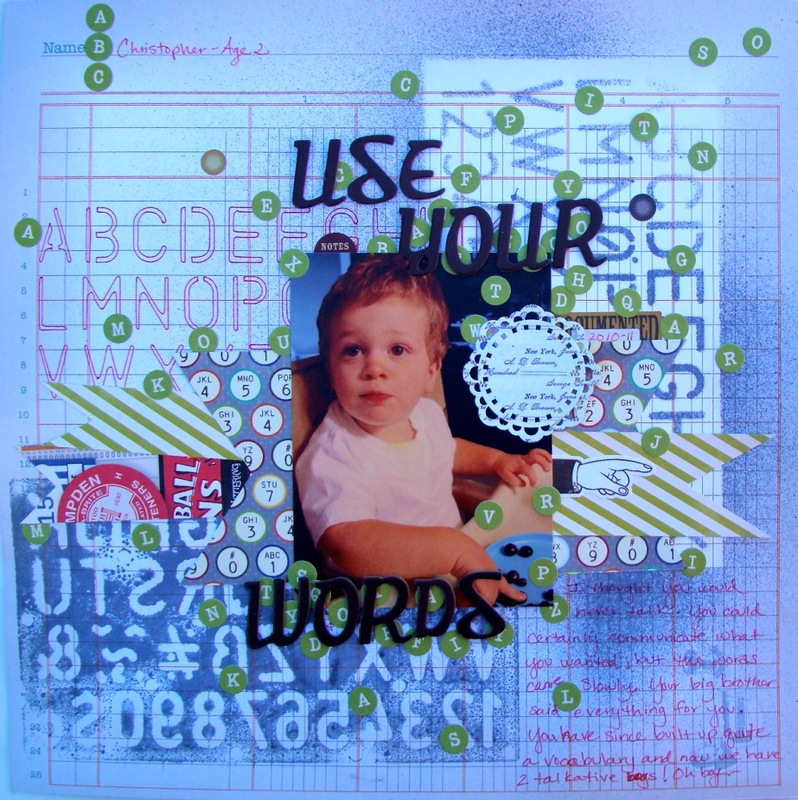 There is so much inspiration there to scrap yourself and your world! Meet some of our newest DT members there too! They are truly a talented group of girls! 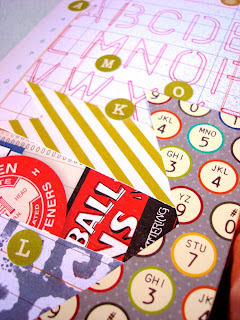 Hop on over to Kate's blog now! Jen <----- You are HERE! Wowzers!!! 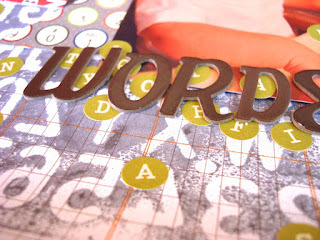 Love that page, and how you sprayed the letters, I just love all the details! 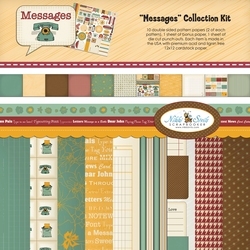 I would also love to get my hands on the 'messages' kit, its fabulous! Thanks so much for the fun and inspiration!!! Oh so sorry, I forgot to add my fave form of communication...that would be my cell phone, either talking or texting on it! It has become permanently attached to my hand I think...lol! I think it's so nice that you've used the journaling together with the elements to personalize you feelings at the time that the picture was taken. I can relate to similar worries! 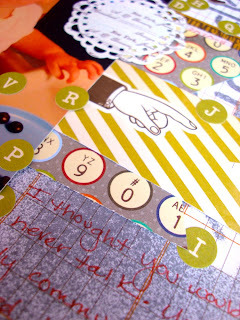 Aww... such a doll and great layout. Well, I don't know how we ever survived without cell phones... especially smartphones. My communication is always emails and texts via my phone that's always with me. I love face to face conversation, but have to admit that I get sucked in by the convenience of texting and emails. I love your background work! 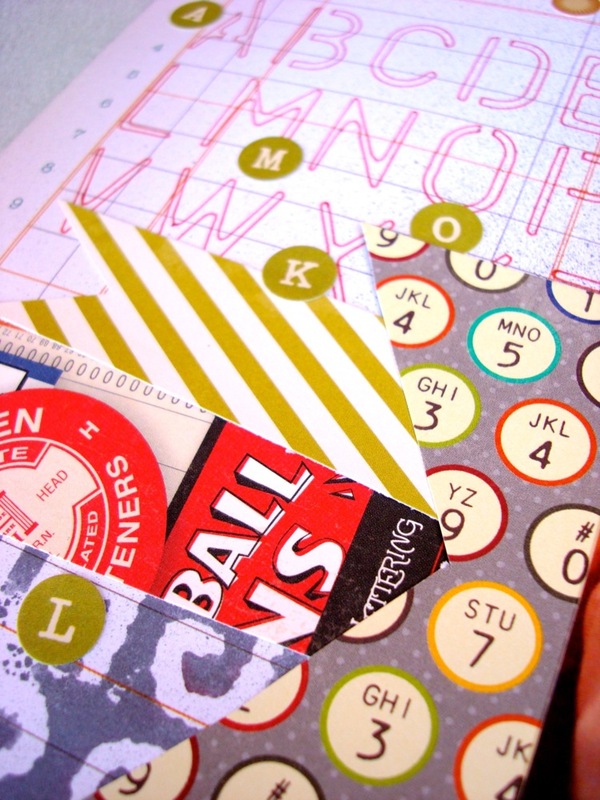 The stenciling idea is amazing. My favorite form of communication is face to face, however I have fallen prey to my iPhone. Sadly it seems to always be with in reach. I adore your LO. It's funny how different our kids can be. And sometimes not so funny. All's well that end's well , right ? I'm happy your little guy is talking up a storm. He is adorable. TFS and a chance to win. I forgot to say my favorite form of communication....that would be my cell. what a great lo? my second son is doing this as well. he is finally saying more words. my fav form of communication is sign language because I'm deaf. That is an excellent page on communication! My favorite form of communication is face to face -- I'm an old soul. That is so cool what you did with the stencil. Never thought of using one that way. Thanks for the idea!!! 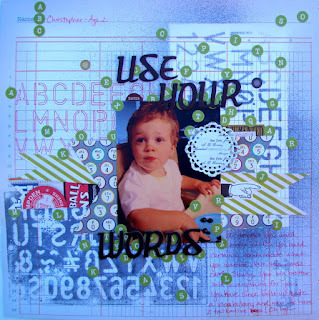 "Use Your Words"! Now that a phrase that I myseld repeat several times each day working at a Preschool! If I had a dollar for each time it's said, I'd be a lot richer, lol! 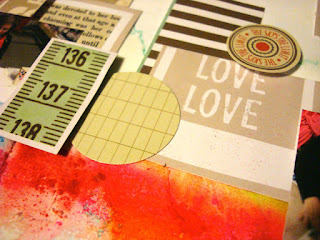 Love your masking here with the letters... such a great effect! As for favorite communication means... I love to talk, but not so much on a phone! I prefer email! Super easy and always fast.